A shared-ride service is an affordable option. Your transfer offers service from JFK, EWR or LGA to your Manhattan residence based on the option selected at checkout. Enjoy skip-the-line service at JFK Terminal 4. Simply book your ride and share spacious shuttles with other travelers. Your driver may make a few stops along the way to your Manhattan residence to drop off fellow passengers. Choose from JFK, EWR or LGA at checkout for an easy transfer to your Manhattan residence. Enjoy Viator Exclusive Skip-the-Line service at JFK Terminal 4. 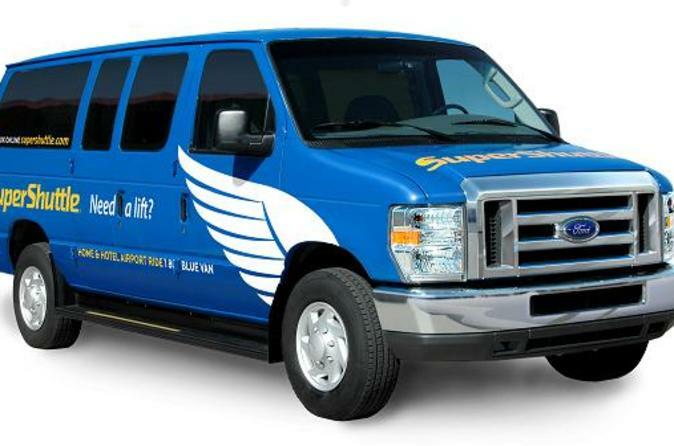 Simply bypass the Welcome Center/Ground Transportation desk and proceed directly to the Viator meeting point located near the east passenger exit where a SuperShuttle representative will assist you. Please note: This service is only available for transfer to residential addresses in Manhattan. It does not provide transport to destinations in New Jersey, Brooklyn, Bronx, Queens, Staten Island, bus stations, train stations or any other airports not listed above. Price displayed is based on additional passengers booked. Please refer to the pricing calendar for single-passenger rates.